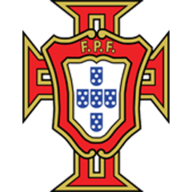 Match ends, Portugal 2, Ecuador 3. Second Half ends, Portugal 2, Ecuador 3. Corner, Ecuador. Conceded by Bruno Alves. Attempt blocked. Cristian Benitez (Ecuador) left footed shot from the centre of the box is blocked. Assisted by Renato Ibarra. João Moutinho (Portugal) wins a free kick in the attacking half. Foul by Renato Ibarra (Ecuador). Attempt missed. Cristian Benitez (Ecuador) left footed shot from the centre of the box is close, but misses to the left following a fast break. Fábio Coentrão (Portugal) is shown the yellow card. Eduardo Morante (Ecuador) is shown the yellow card. Eder (Portugal) wins a free kick on the right wing. Foul by Fábio Coentrão (Portugal). Cristian Benitez (Ecuador) wins a free kick in the defensive half. Custódio (Portugal) hits the bar with a header from the centre of the box. Assisted by João Moutinho with a cross following a set piece situation. Silvestre Varela (Portugal) wins a free kick on the right wing. Foul by Oscar Bagui (Ecuador). Substitution, Ecuador. Eduardo Morante replaces Antonio Valencia. Rubén Amorim (Portugal) wins a free kick on the left wing. Foul by Pedro Quiñonez (Ecuador). Nélson Oliveira (Portugal) wins a free kick in the attacking half. Attempt missed. 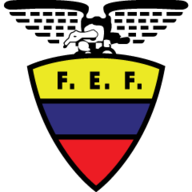 Juan Carlos Paredes (Ecuador) right footed shot from outside the box misses to the left. Assisted by Antonio Valencia following a fast break. Substitution, Portugal. Danny replaces Raul Meireles. Attempt missed. Cristian Benitez (Ecuador) header from the centre of the box misses to the left. Assisted by Antonio Valencia with a cross following a fast break. Substitution, Portugal. Nélson Oliveira replaces João Pereira. Eder (Portugal) wins a free kick in the attacking half. Offside, Ecuador. Cristian Benitez tries a through ball, but Antonio Valencia is caught offside. Substitution, Ecuador. Henry León replaces Segundo Castillo. Attempt missed. Silvestre Varela (Portugal) header from the centre of the box is high and wide to the right. Assisted by João Moutinho with a cross following a set piece situation. Fábio Coentrão (Portugal) wins a free kick in the attacking half. João Pereira (Portugal) wins a free kick on the right wing. Foul by Luis Saritama (Ecuador). Silvestre Varela (Portugal) wins a free kick in the defensive half. Foul by Cristian Benitez (Ecuador). Substitution, Portugal. Rubén Amorim replaces Nani. Substitution, Portugal. Custódio replaces Miguel Veloso. Frickson Erazo (Ecuador) wins a free kick in the defensive half. Corner, Portugal. Conceded by Frickson Erazo. Substitution, Ecuador. Renato Ibarra replaces Felipe Caicedo. Goal! Portugal 2, Ecuador 3. Felipe Caicedo (Ecuador) left footed shot from outside the box to the bottom left corner. Assisted by Cristian Benitez. Fábio Coentrão (Portugal) wins a free kick in the defensive half. Bruno Alves (Portugal) wins a free kick in the defensive half. Attempt blocked. Miguel Veloso (Portugal) left footed shot from outside the box is blocked. Nani (Portugal) wins a free kick in the attacking half. Felipe Caicedo (Ecuador) is shown the yellow card for a bad foul. Foul by Felipe Caicedo (Ecuador). Substitution, Portugal. Silvestre Varela replaces Cristiano Ronaldo. Substitution, Portugal. Eder replaces Helder Postiga. Substitution, Ecuador. Luis Saritama replaces Jefferson Montero. Substitution, Ecuador. Pedro Quiñonez replaces Christian Noboa. Own Goal by João Pereira, Portugal. Portugal 2, Ecuador 2. Goal! Portugal 2, Ecuador 1. Helder Postiga (Portugal) right footed shot from very close range to the centre of the goal. Assisted by Nani. Raul Meireles (Portugal) wins a free kick in the defensive half. Foul by Jefferson Montero (Ecuador). Attempt blocked. Felipe Caicedo (Ecuador) left footed shot from the centre of the box is blocked. Assisted by Jefferson Montero. Máximo Banguera (Ecuador) is shown the yellow card. Attempt missed. Raul Meireles (Portugal) right footed shot from the right side of the box misses to the right. Assisted by Cristiano Ronaldo. Corner, Portugal. Conceded by Juan Carlos Paredes. Foul by Helder Postiga (Portugal). Máximo Banguera (Ecuador) wins a free kick in the defensive half. Fábio Coentrão (Portugal) wins a free kick on the left wing. Corner, Portugal. Conceded by Oscar Bagui. Attempt saved. Fábio Coentrão (Portugal) left footed shot from the centre of the box is saved in the centre of the goal. Assisted by João Moutinho with a through ball. Second Half begins Portugal 1, Ecuador 1. First Half ends, Portugal 1, Ecuador 1. Attempt saved. Cristiano Ronaldo (Portugal) right footed shot from the centre of the box is saved in the centre of the goal. Assisted by Helder Postiga. Offside, Portugal. João Moutinho tries a through ball, but Cristiano Ronaldo is caught offside. Attempt blocked. Helder Postiga (Portugal) right footed shot from outside the box is blocked. Assisted by Cristiano Ronaldo. Jefferson Montero (Ecuador) is shown the yellow card. João Pereira (Portugal) is shown the yellow card. Foul by João Pereira (Portugal). Oscar Bagui (Ecuador) wins a free kick in the defensive half. Raul Meireles (Portugal) wins a free kick in the attacking half. Foul by João Moutinho (Portugal). Helder Postiga (Portugal) wins a free kick in the defensive half. Attempt blocked. Cristian Benitez (Ecuador) right footed shot from outside the box is blocked. Christian Noboa (Ecuador) wins a free kick in the attacking half. Attempt missed. Raul Meireles (Portugal) right footed shot from outside the box is close, but misses to the left. Assisted by Cristiano Ronaldo. Offside, Ecuador. Antonio Valencia tries a through ball, but Felipe Caicedo is caught offside. Felipe Caicedo (Ecuador) wins a free kick on the right wing. Corner, Ecuador. Conceded by Luís Neto. Attempt blocked. Fábio Coentrão (Portugal) left footed shot from outside the box is blocked. Attempt blocked. Fábio Coentrão (Portugal) right footed shot from the left side of the box is blocked. Assisted by Cristiano Ronaldo. Christian Noboa (Ecuador) is shown the yellow card for a bad foul. Goal! Portugal 1, Ecuador 1. Cristiano Ronaldo (Portugal) right footed shot from the left side of the box to the bottom right corner. Assisted by Fábio Coentrão. Attempt missed. Cristiano Ronaldo (Portugal) right footed shot from outside the box is too high from a direct free kick. Cristiano Ronaldo (Portugal) wins a free kick on the right wing. Corner, Ecuador. Conceded by João Pereira. Attempt saved. Felipe Caicedo (Ecuador) right footed shot from the centre of the box is saved in the bottom left corner. Antonio Valencia (Ecuador) wins a free kick in the defensive half. Offside, Ecuador. Felipe Caicedo tries a through ball, but Cristian Benitez is caught offside. Attempt saved. Nani (Portugal) left footed shot from the centre of the box is saved in the centre of the goal. Assisted by Helder Postiga. Attempt saved. Cristiano Ronaldo (Portugal) left footed shot from outside the box is saved in the bottom right corner. Assisted by Raul Meireles. Attempt missed. João Moutinho (Portugal) right footed shot from outside the box is high and wide to the right. Assisted by Fábio Coentrão. Attempt saved. Miguel Veloso (Portugal) left footed shot from a difficult angle and long range on the right is saved in the top centre of the goal. Goal! Portugal 0, Ecuador 1. Antonio Valencia (Ecuador) header from very close range to the centre of the goal. Assisted by Jefferson Montero with a cross. Attempt saved. Helder Postiga (Portugal) left footed shot from very close range is saved in the centre of the goal. Attempt saved. Cristiano Ronaldo (Portugal) right footed shot from the left side of the box is saved in the centre of the goal. Assisted by João Pereira with a cross.